Start learning basic English using pictures. We have more than 500 lessons and 300 exercises. We are always available to help you with learning basic English. Anyone can learn basic English free using this website or our Facebook page where we give daily lessons on learning English. To view any lesson in category, just click on the category of your choice. Then, you will see a list of English lessons that are related to the choice you have chosen. 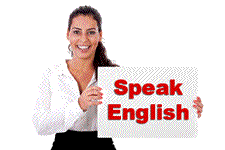 Starting learning from basic to advanced English lessons free online. 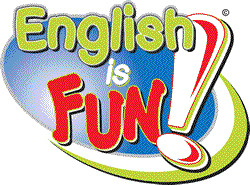 Start learning English with the list of basic English lessons by clicking on this link. The list is for people that have little or no experience of the English language. The list can also be used by those that might want to refresh their knowledge on some of the English basics. The lessons are in no particular order. You can view the list and choose a lesson to start learning basic English. 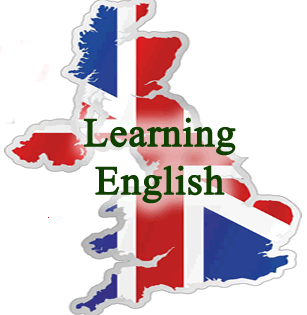 Learning English basics level 1 has over 130 lessons to choose from. You can start learning this level by clicking on the link above or by clicking on the menu at the top and clicking all lessons. Basic English level one it is for people with little or have no experience of the English language or want to refresh their English. The first lesson is for learning the English alphabet and second one you will learn about numbers. The rest of the basic English level 1 lessons, you will be able to start learning some basic English words, how to greet people, jobs, food computers and much more. If you don't see a lesson of your choice you can request a lesson by leaving a comment in the contact us in the menu. The next level is learning basic English level 2 which you will find is slightly more difficult than basic English level 1. There are a wide range of topics such as money, greetings, seasons and the months of the year are covered in depth for you to start learning at an Easy Pace Learning. Learning English level 3 is quite a hard level, but if you have completed the English lessons in level 1 and level 2 already, you might not not notice a big difference. Sometimes if you don't understand something about the English lesson you are currently doing try repeating the lesson again, and if you are still unsure please post a question on the forum and we will help you. This level you will be learning all about English grammar, we recommend that you do each lesson one after another. Whilst you are reading and studying each lesson, try to think about the explanation that is given. Do not worry too much or get obsessed about English grammar as it is only a small part of the English language, above all it is important that you enjoy learning the English language. There are currently 3 levels of exercises for you to choose from. We have basic level, level 1 and level 2 exercises. There are many topics that have been covered with each having several exercises for each topic. This part of the website is the latest addition so we are currently adding exercises to the website on a daily basis. What if I am struggling learning English? When trying to learn the English language you will sometimes come into difficulties, please don't worry as we help you as much as we can. use the contact form above or post a question on the Facebook page. Yes, if there is a subject or lesson you want to learn and you can't see the English lesson listed then ether using the contact us form. We promise that we will add the lesson to the list. Remember Easy Pace Learning is a free online website built to people learning the English language. Sometimes it is easier to post a question on Facebook as we all use it! to post a question on Facebook click on the link Easy Pace Learning Facebook. Then come and say hello and post as many questions as you like, just make sure you like the page as well and tell your friends. Whist you are learning English, it is important that you enjoy learning. A great way to learn English is to listening to music it will help you learn different words and are fun to listen to. Please don't think that you have to remember all the words that you hear, use music to get used to hearing new words and also learning some. We want to help as many people as possible start learning the English language to help us achieve this goal please tell as many people as you can about the website. To help us post links on Facebook and twitter or any other social network. We have a brief video to so that to show you a brief site tour of Easy pace Learning. We hope that you enjoy using Easy Pace Learning and look forward you using the site again. All the videos that are used for learning English on this site can be viewed by clicking on this link or by clicking on the menu at the top. When faced with learning the English it can use up a lot of your own time, by having to practice. But when you have learnt some of the English language, it will help lead you to a brighter future. By learning English it will give you many advantages. More work prospects, your job grade will hopefully go up and you will make new friends. Click on the title or on the link here. Feel free to add a link on your own website, You Tube or blog so that other people can use the website as well we can help you with the code needed.